SwiftKey has, for quite a while now, been making the process of typing on an Android a great deal easier, and with the self-proclaimed “best selling Android app of 2012” continuing to be adopted by millions of users of Google’s mobile OS worldwide, the developer has just pushed version 4 out to the Play Store after keeping it in beta for a while. So, what’s new? Well, the SwiftKey had a pretty difficult task in improving on an app which is already great, but has done so on a variety of levels. Some of you may be familiar with Swype, an intuitive keyboard which allows you to flow between keys without removing your finger from the touch-screen, and that same element of ‘Flow’ is now a feature of SwiftKey with version 4. Now, you can input words and symbols by simply gliding your finger around the keyboard, and as well as sounding like a great implementation, it operates seamlessly. As well as the new Flow feature, SwiftKey features an intelligent system which will readily predict what you’re going to write next. Unlike other generic predictive-text systems, SwiftKey’s implementation is contextual, and also learns how you type in order to help improve accuracy. 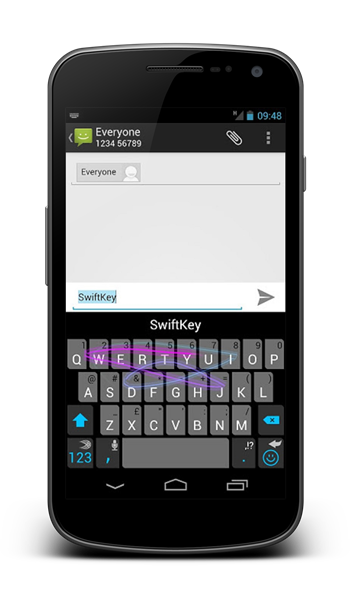 SwiftKey is especially useful for those using the larger Android devices where typing may not be as easy as with the smaller-screened handsets. Also, the Flow feature is handy to have in the locker on those occasions where you’re in a rush, and with that awesome learning system thrown in, the frustration of messing text up when you’re busy should not be as common an occurrence. The usual price of SwiftKey is $3.99, but to mark the launch of SwiftKey 4, the price has been reduced to $1.99 (£1.49 for those in the UK) for a limited time only. 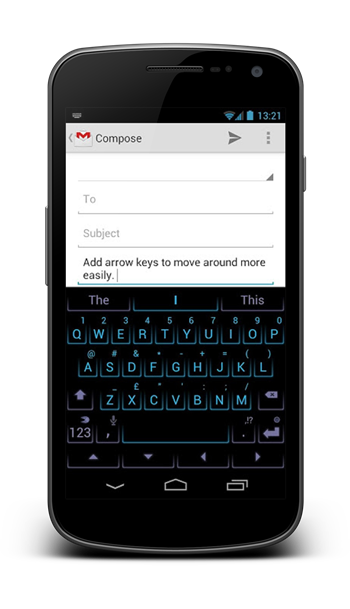 If you already own the app (previously named SwiftKey Flow), then version 4 is a free upgrade. If you want it, now is most certainly the best time to grab it, and you can do so by hitting the links for the smartphone / tablet iterations provided below.